Cannabidiol / CBD	There are 15 products. CBD premium extract in hemp bio-oil (500 mg CBD),10 ml. Food supplement. Quality organic product from Austria. CBD premium extract in hemp bio-oil (1000 mg CBD),10 ml. Food supplement. Quality organic product from Austria. Full Spectrum CBD extract in organic hemp oil (500 mg CBD)10 ml ℮Food supplement. Quality from Austria. 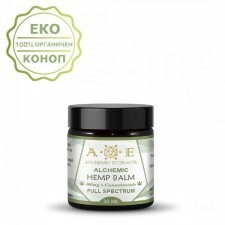 Full spectrum CBD extract in organic hemp oil (1800 mg CBD) 10 ml Food supplement with hemp oil. Product of Austria. Full spectrum CBD extract in organic hemp oil (1000 mg CBD) 10 ml ℮ Food supplement. Product of Austria. Full spectrum CBD extract in organic hemp oil (3000 mg CBD). 30 ml ℮ Food supplement. Quality organic product from Austria. 500mg. 10 ml. Food Supplement. 100mg. 10 ml. Food Supplement. The content of the website is informative, and it cannot and should not replace professional medical advice, consultation, diagnosis, treatment, therapy. For any questions regarding your health and your health condition, contact your GP or other qualified healthcare professional. The products on this website are not intended to diagnose, cure, treat or prevent any disease. Any decision about your health or the necessary medical care based solely on information obtained on the internet is risky. Dr. Biomaster Ltd. is not responsible for damages (property and/or non-material) for your health. All Rights Reserved © © 2019 Dr.Biomaster™ The content of the website is informative, and it cannot and should not replace professional medical advice, consultation, diagnosis, treatment, therapy. For any questions regarding your health and your health condition, contact your GP or other qualified healthcare professional. The products on this website are not intended to diagnose, cure, treat or prevent any disease. Any decision about your health or the necessary medical care based solely on information obtained on the internet is risky. Dr. Biomaster Ltd. is not responsible for damages (property and/or non-material) for your health.